When three kids, Wolfie, Zi'ib and Tala come together from different parts of the world they realise they have a lot of things in common; the same emerald coloured eyes, birth date, a name, which means Wolf in their own language and, as if that isn't enough, each have a father who is missing from their lives. Mysteriously missing, that is. They know that the circumstances that bring them together are too similar to be put down to coincidence and this is confirmed by the new guy, Mr, Forester, who rents a room in Wolfie's house and starts talking about his favourite hobby of tracking down ley-lines and researching the wonders of magic stone circles and the forces they attract. A complete nutter in other words! During a speech on lost energy paths by Mr. Forester, the trio all have their senses awakened and find they have special powers, which didn't exist before. Little do they know that for centuries the Chosen have lived among them undetected. Now a secret cult who call themselves the Manus Sacra are looking to the young trio to complete their customs, a mission that will project them into a world known as "The Hidden Realms of Wisdom" only reached by the inquisitive minds of the chosen few. 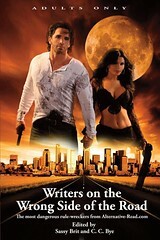 Together they must play detective and decipher the clues of the sacred knowledge to discover the true meaning as to why they have been brought together. What they discover may not be to their liking! And Mr. Forester may not be as nutty as he first seemed. 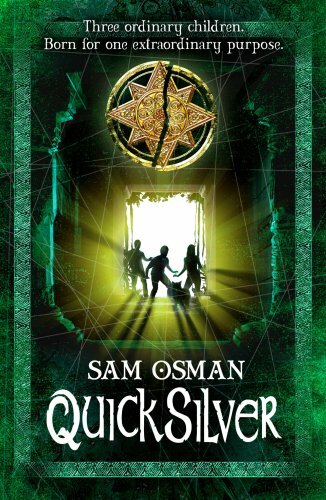 Sam Osman's Quicksilver is a fun book and I feel the author could very well be likened to a Dan Brown for kids the way he has includes many codes to crack and a story rich in plot and theme. The cute and rather mysterious dog, Elvis, was a charming addition to the cast and I will look forward to reading the rest of the series. A great ticking clock read.